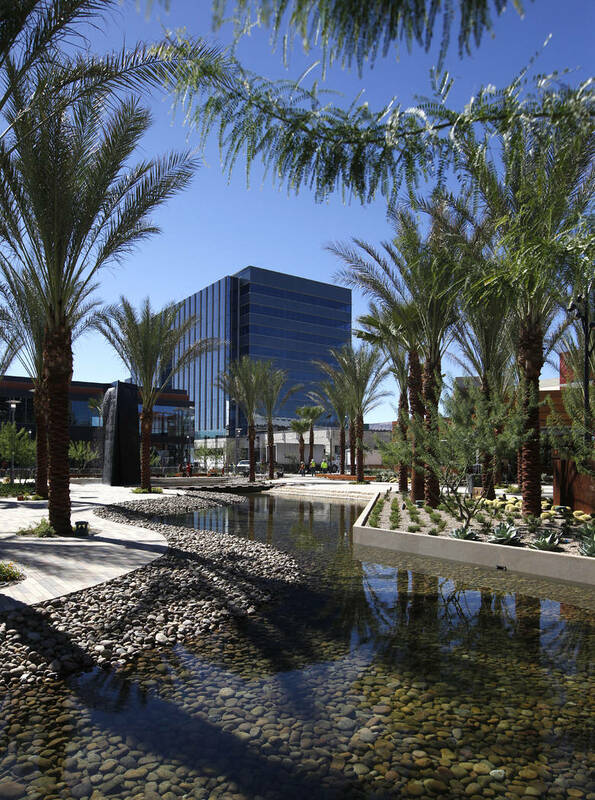 The Las Vegas Valley’s office market has charged forward on a path toward expansion and recovery with areas such as Summerlin exploding with development and demand as users seek well-located offices in amenity-rich areas. Summerlin developer Howard Hughes Corp. is closing in on a fall completion of its six-story Class A office tower under development in the Downtown Summerlin area. 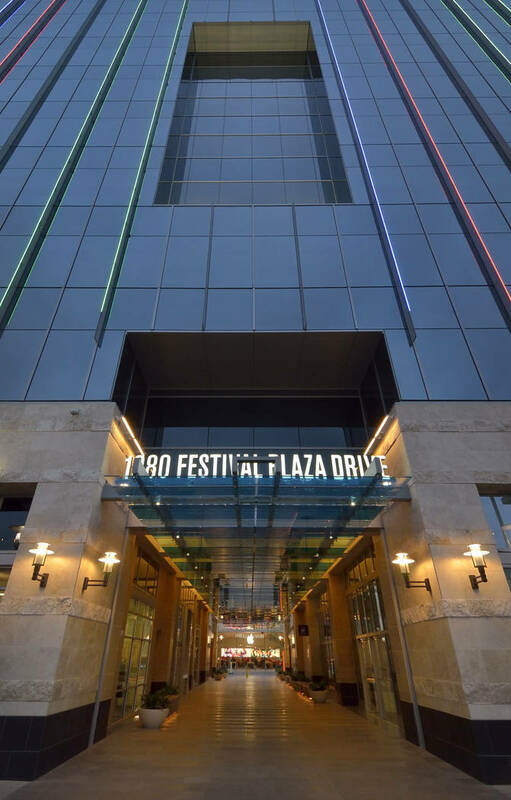 But already, the 152,300-square-foot project has attracted a heavy interest from potential users and garnered significant preleasing activity. Not all the deals are set in stone, but there is significant interest on every floor of the under-construction office building at Griffith Peak and Pavilion Center drives. 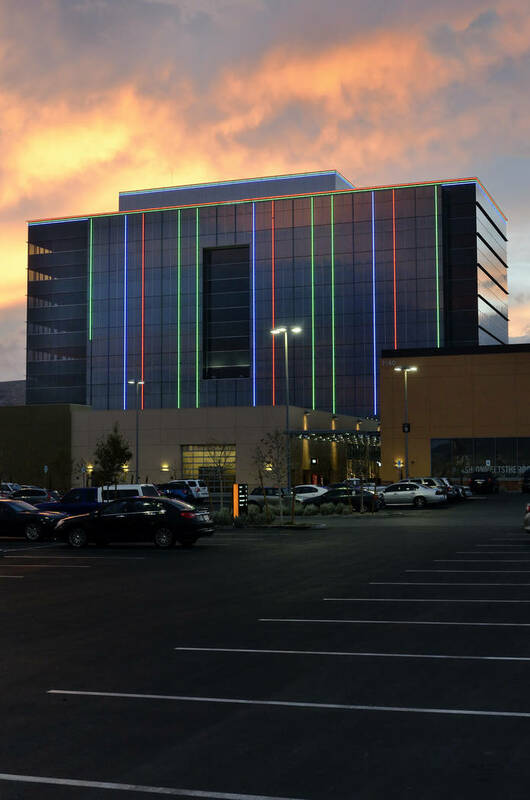 The project follows Howard Hughes’ well-received One Summerlin project — a nine-story, roughly 200,000-square-foot office building in Downtown Summerlin that came online in the second quarter of 2015. That followed the October 2014 opening of the 106-acre open-air mall. The initial projects such as the mall, which contains several dining and entertainment options, and the nine-story building sat west of Pavilion Center Drive, with the newer projects sitting east of there. The newest office development by Howard Hughes is attracting several types of potential tenants to the new building, including lawyers, brokers and gaming technology companies, according to Orrock. The Vegas Golden Knights opened its practice facility (City National Arena) in 2017 in the Downtown Summerlin area. The Triple-A baseball team, the Las Vegas 51s, which is set to get a new name and branding for its 2019 season, will have its home base moved to Downtown Summerlin to what’s dubbed the Las Vegas Ballpark. Orrock said these projects sit in what he referred to as Summerlin’s urban core that spreads across some 400 acres and is bordered by the 215 Beltway and Town Center Drive on the east and west sides, with Charleston Boulevard and Sahara Avenue on the northern and southern ends. 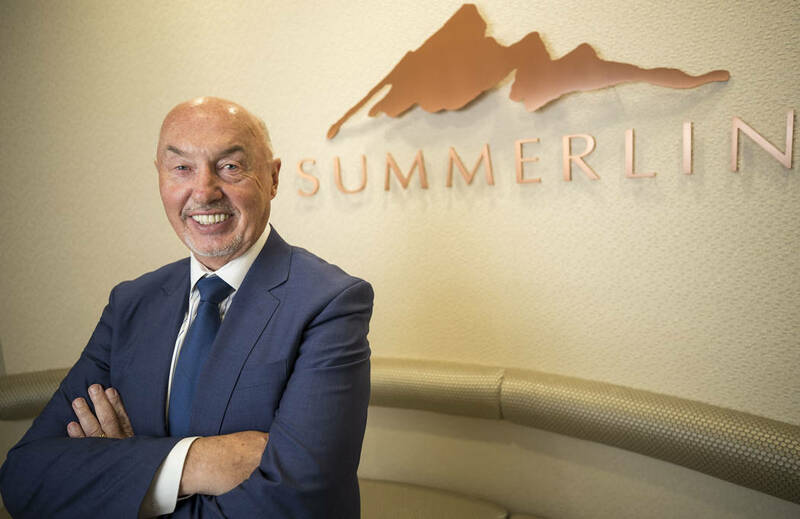 No one can replicate what Howard Hughes has been able to produce in Summerlin, said Orrock who foresees more office development in the region. “You’re going to see significant residential development as well,” he said. In 2016, the Calida Group completed development of the 124-unit Constellation luxury apartment complex in Downtown Summerlin. Orrock said there is an additional 267-unit complex under construction in the region. Overall, the Downtown Summerlin area is set to see over 4,000 residences developed, Overall, the Downtown Summerlin area is set to see over 4,000 residences developed, including apartments, condominiums, lofts and brownstones. Just five minutes down the Beltway, Howard Hughes is developing a build-to-suit project for Australian slot machine maker, Aristocrat Technologies. Howard Hughes is developing a 180,000-square-foot headquarters with two three-story buildings for the company at Hualapai Way and the 215 Beltway. “I think there’s relatively little new development in the office market,” Orrock said. The majority of new development, however, is in the northwest submarket, he added. “I think that speaks volumes as well,” Orrock said. The northwest submarket has seen vacancy averages lower than the citywide numbers. In the northwest submarket, Colliers International Las Vegas’ first quarter report in 2018 put the average vacancy for all class types at 14.3 percent — lower than the area’s average vacancy rate of 15.1 percent. The area-wide average is down from 16.9 percent vacancy from the first quarter in 2017, according to the Colliers’ report. That is still higher than the 9 percent vacancy rate for the pre-2006 average, according to the report. Projects in the Summerlin area have a big draw for clients of local commercial brokers. Daniel Palmeri, senior director at Cushman &Wakefield in Las Vegas, said Summerlin is the most desirable location in the valley. Palmeri said that many of there valley’s top-level decision-makers live in the Summerlin area. “With that, we’ve really seen a migration for companies that don’t need to be centrally located moving to, not only Summerlin, but more specifically, recently, Downtown Summerlin; because the decision-makers live out there,” he said. The drive is roughly five minutes to Downtown Summerlin, compared to driving to other submarkets such as downtown, which is a 20-minute drive from the northwest suburb. In comparison, Palmeri said Las Vegas has historically been a sprawled city — requiring people to drive 20 to 30 minutes to anywhere. But that’s changing with these types of projects showing up in the valley, which people are adapting to, especially the millennials, according to Palmeri. Palmeri said employers are considering millennials predominately when making decisions on where a company is going to locate its office. Most employers ask where amenities are in proximity to the potential office space, in regard to things such as area restaurants and retail shops such as Trader Joe’s in the mall in Downtown Summerlin.